Rosoboronexport (member of state Сorporation Rostec) is to take part at International arms and equipment exhibition and conference Gulf Defense & Aerospace 2017, which is going to be held between 12 and 14th of December in Al Kuwait. The exhibition is to be held under the auspices of Kuwaiti Ministry of Defense. The Russian official delegation is headed by Deputy Director of Russian Federal Military and Technical Cooperation Service Alexey Frolkin. The Rosoboronexport is headed by Deputy General Director Sergey Goreslavskiy. ‘This year marks 40 years since the beginning of military and technical cooperation between Russia and Kuwait. Over the last years the special exporter and its predecessors have delivered many weapons primarily for Kuwaiti ground forces. These weapons were repeatedly highly appreciated by the nation’s military. By taking part in Gulf Defense & Aerospace 2017 Rosoboronexport shows its great interest in further development of military and technical bilateral relations between our countries,’ said Sergey Goreslavskiy. Rosoboronexport is to organize the integral Russian display at Gulf Defense & Aerospace 2017. Its exposition stand 607 located in exhibition hall 8 provides information about over 200 military products. Besides the special exporter the Russian exposition involves 6 Russian weapon and equipment manufacturers. ‘Many of exposed products have been battle tested during antiterrorist operations in Syria. They proved reliable and highly efficient weapons. Besides, the weapons and equipment offered by us fit local climatic conditions. It is very important for our partners,’ Sergey Goreslavskiy added. Tanks T-90S and T-90MS, armored personnel carrier BTR-82A as well as anti-tank missile system Kornet-EM are considered as the most promising for Kuwaiti ground forces. Among the Rosoboronexport-presented aircraft the special attention is paid to multi-purpose super-maneuverable fighter Su-35, multi-functional tactical fighter MiG-29M/M2 and operational trainer Yak-130. The foreign customers are as much interested in combat helicopters Ka-52 and Mi-28NE, transport Mi-35M as well as transport Mi-171Sh. 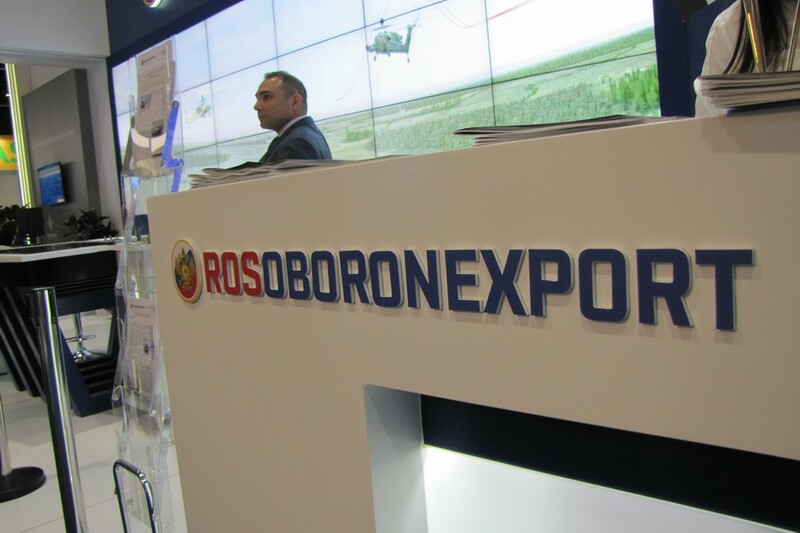 The Rosoboronexort’s near-eastern partners are traditionally interested in Russian air defense systems like AD missile and gun Pantzir-S1, AD missile systems Tor-M2KM and Buk-M2E, man-portable Igla-S and certainly Russian bestseller AD missile system S-400 which is also to be shown at the exhibition in Al Kuwait. The attention of Navy representatives may be attracted by corvette 20382 Tigr, patrol boat 14310 Mirazh, high-speed patrol boat 12150 Mangust, diesel-electric submarine 677E Amur-1650 and missile systems Club. Army and special force units are very interested in fire arms and close combat weapons such as AK assault rifles 100, automatic grenade launcher AGS-17 and anti-tank grenade launcher RPG-27. In Kuwait Rosoboronexport is also to show an integrated product Russian-made Security Systems which involves the whole range of decisions to administer law, fight terrorism, provide infrastructural, state and cybersecurity. ‘The issue of fighting terrorism is very important both in the Near East and the rest of the world. The special attention is paid to all-level security in this regard. We are ready to support the fight against one of the most challenging problems in 21st century and offer our new integrated product being very popular in the world which has proven itself during large-scale operations in Russia,’ said Sergey Goreslavskiy.